Chai Galli at Besant Nagar is a quaint little place offering a wide range of tea along with some lip smacking quick eats with a twist to it. 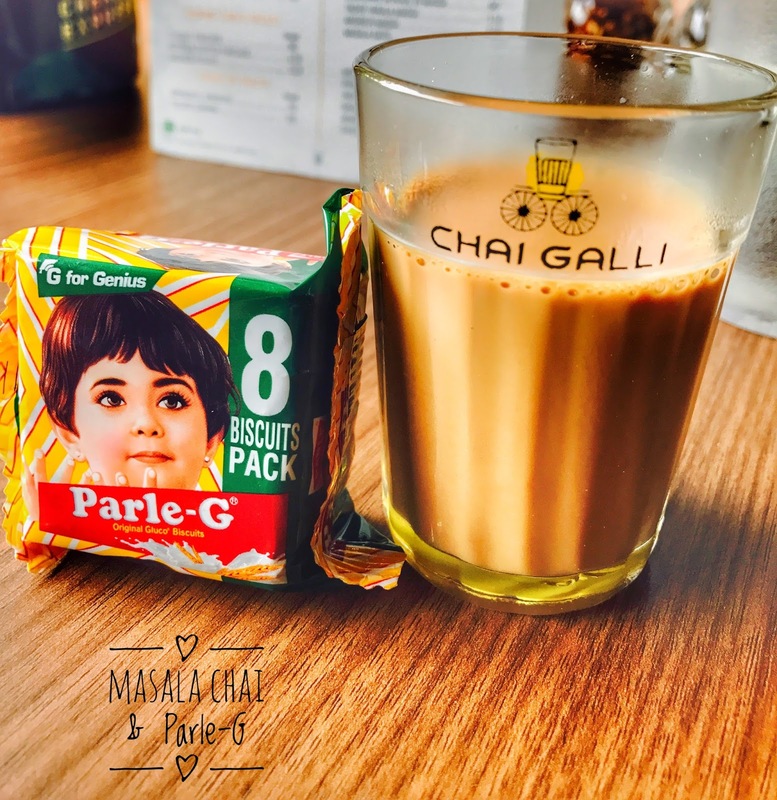 The interiors are colourful and vibrant screaming 80's Bollywood in every inch, reminding an upgraded version of a tea shop. We started with veggies on khakra, khamani and a masala chai pot (serves 2). 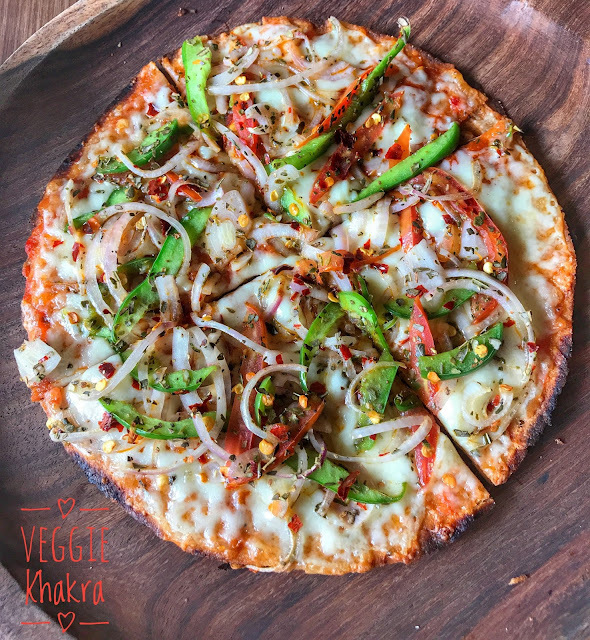 Khakra was presented and tasted like a pizza. Loved the subtle note of methi in the khakra. 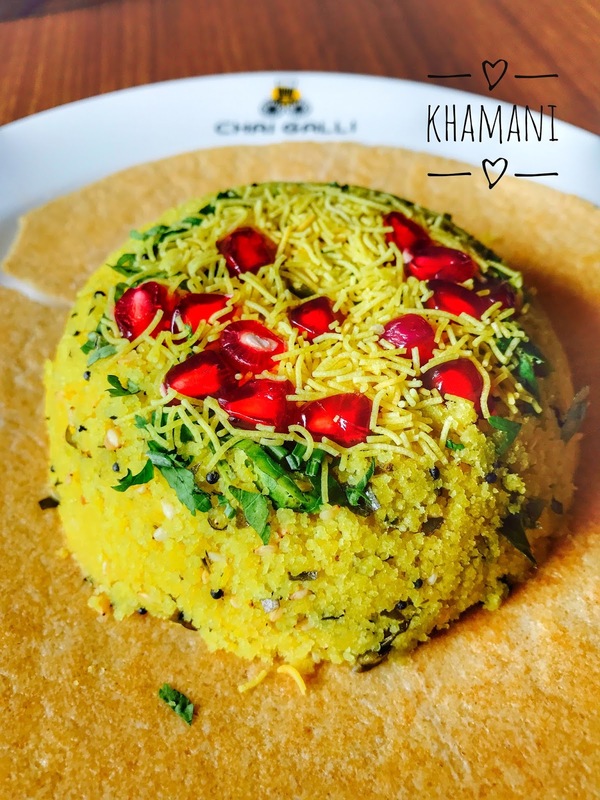 Khamani was simply delicious and was burstin with flavours. The addition of roasted sesame was really nice. 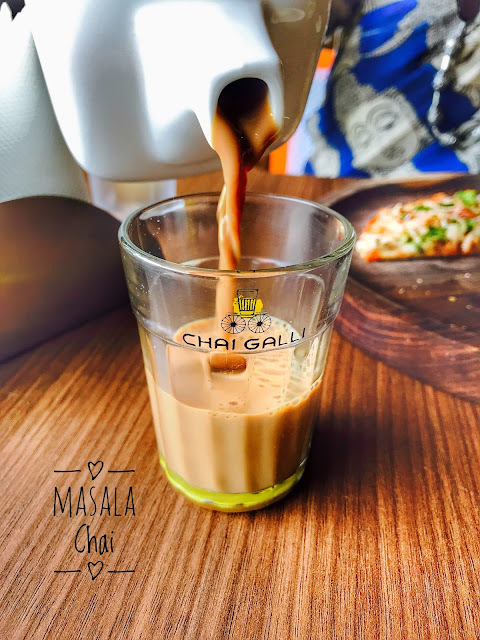 Masala chai was perfect. Served in a pot along with parle - G it was very soothing. Didn't like the kashmiri khawa on the other hand. It tasted flat as I felt the saffron was almost negligible. 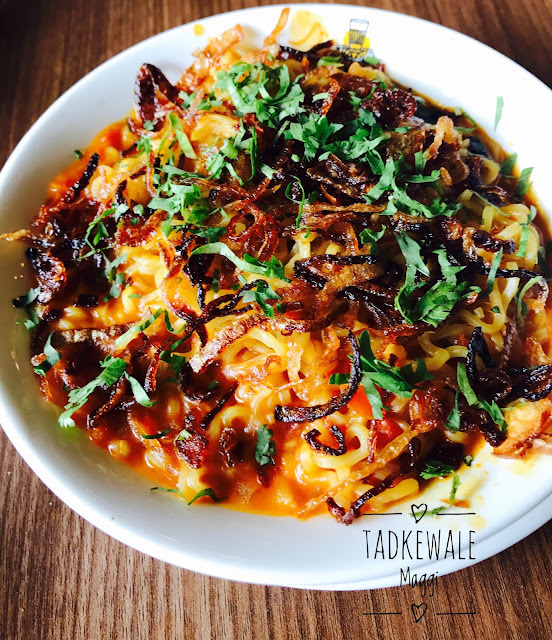 Tadkewale maggi was lip smacking delicious. Simple maggi with caramelised onions in a tangy sauce was yummilicious. We were contemplating between Aloo Paratha and sandwich for a long time. And finally decided to check out the mumbai style sandwich. Grave mistake :( It was not appealing both lookwise as well as tastewise. 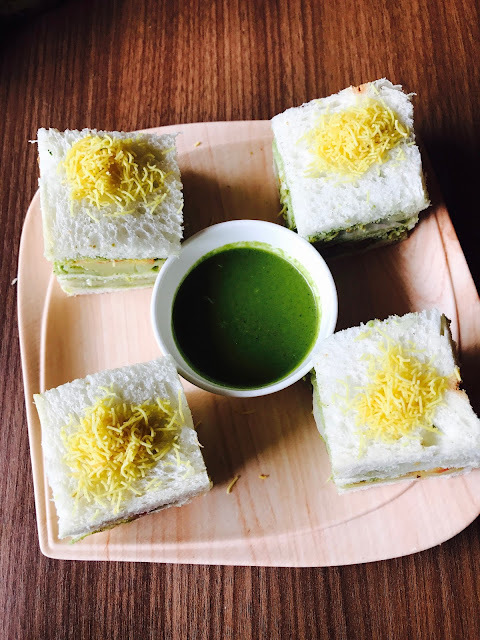 Felt the mint chutney to be bitter and there was no taste to it. Same with the Falooda. I've never had a falooda that can be had with a straw alone. It was more like thin milkshake with few nuts and semiya thrown in.